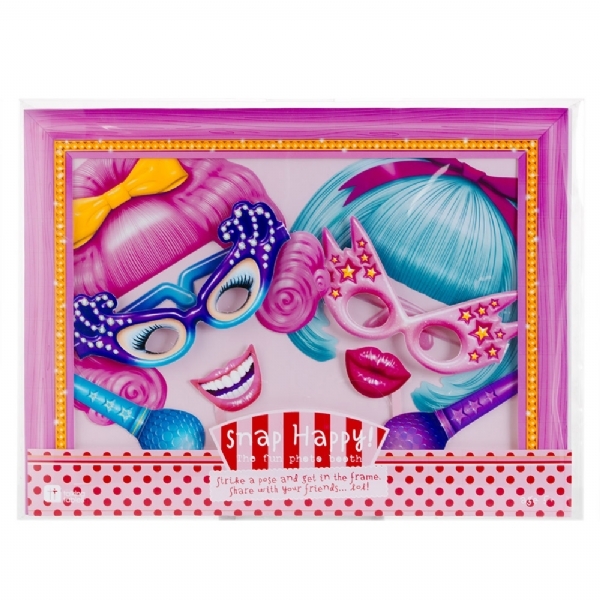 Dress up and strike a pose...then take fun photos with your faces in the frame! A fun game to play at sleepovers and girly birthday parties. 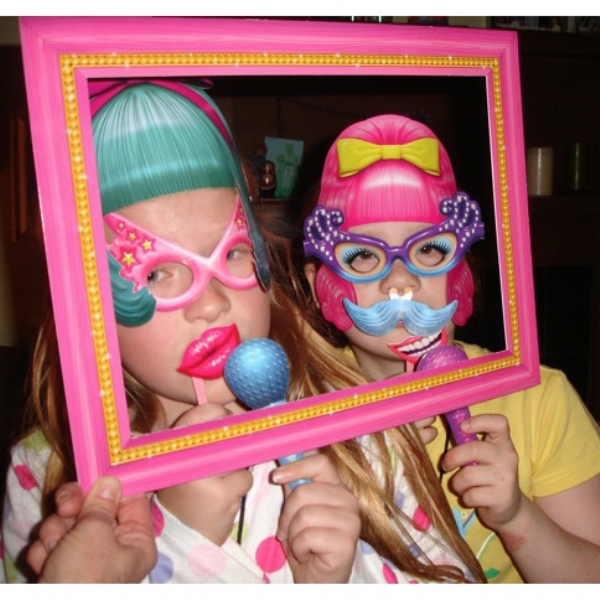 Have fun dressing up in these funky disguises. Try on the glamorous glasses, wild wigs, jazzy jewelry, manic mustaches, and more. Will you be a pop princess pouting into your microphone or a laughing party girl? Whatever you choose, strike a pose with your friend in the frame and have your photo snapped. The perfect memento of happy times with your best friends! 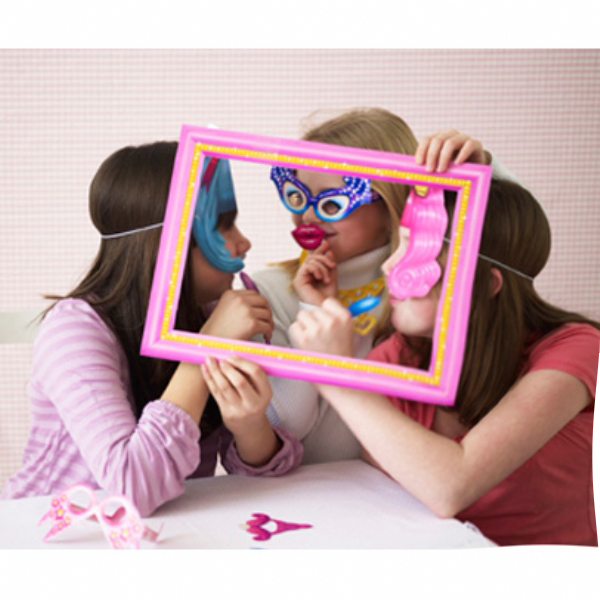 Perfect activity to add fun at birthday parties, Hairspray party, sleepovers, and group pictures.